Used Full-Frame DSLR - Which Ones are Worth It? Home » Cameras and Lenses » Used Full-Frame DSLR – Which Ones are Worth It? Used Full-Frame DSLR – Which Ones are Worth It? Yesterday, while thinking about the upcoming wedding that I have to shoot, I glanced at my trusty old D700. The rubber is coming off in places and needs to be glued back on, nothing serious. Two of the batteries that I have need replacing. The plastic screen protector has a few minor scratches on it, but would you expect anything else? No. Those are just minor signs of careful use. In every single way, it’s a damn good camera. And then I wondered, would I recommend it to a beginner looking for an affordable entry into the full-frame world? Oh yes, definitely. And it’s not the only one. So if you are a beginner – either to DSLRs or digital photography – and want to potentially improve the quality of your family pictures, to, perhaps, photograph your son’s football games with more confidence or even start your own photography business, there are a lot of used, older cameras you could go for and not regret it. Let us glance through some of them. Here is something I thought I should not say, mainly because it may seem strange or even unprofessional coming from someone writing articles at a photography website. I never expected or even understood the release of Nikon D610, the Canon 700D (also known as T5i) model, Sony NEX-3N and some other cameras I do not care to mention. Now, in no way does that mean I think them to be bad cameras, far from it. The D610 is arguably the most capable model in Nikon’s current range for the money, whilst the 700D offers features that only several years ago would not look out of place in a much more expensive camera. No, no, they are all good cameras, certainly. It’s just I never expected them to be announced quite so soon and bring quite so little. Not “little” in general, just little for a completely new model. Some time ago I even expressed an opinion that the ever more frequent release of new camera models into the market is a growing trend, it’s used almost like an advertisement to keep the manufacturer’s name fresh in our memories. Be that as it may, the new cameras are here, they are undeniably better than their predecessors (even if only in one or two areas) and are spurring interest everywhere you look. Truth is, however, not everyone needs, wants or is able to afford the “latest and greatest”, and the good thing is about new cameras being released so soon is how the used market flourishes with great cameras for low prices. And so when done with care, purchasing a used camera is very much a viable option, and you know what? There are plenty of choices, too. In this article I will talk about a few full-frame cameras from different manufacturers that I’ve personally had some experience with and could recommend to a beginner on a budget looking for his first full-frame DSLR. Mind you, I have not done any deliberate testing or comparisons, you will not find ISO and dynamic tests here – merely a few suggestions worth taking a look, with notes. When it comes to affordable full-frame DSLR cameras, this is the trend starter and a camera many professionals gladly admit to having owned. Released back in 2005, it is definitely the oldest model in this list, but that also potentially makes it the most affordable full-frame model that’s still worth looking at. We never reviewed it, but I did have experience working in a studio with it, and my impressions, despite the camera’s age, were positive with a few caveats. Before we get to them, though, let’s overview the specs quickly. At the heart of the original 5D is a 12.8 megapixel 35mm sensor. It has an ISO range of 100-1600 that’s expandable to 50-3200, shutter speed range of 30s-1/8000, maximum frame rate of 3 per second and a 9-point AF system. At the back of the camera there is a tiny-by-today’s-standards 2.5″ screen with 230k dots. Not impressed? Well, you should be, because for a person who doesn’t need WiFi, GPS, articulated touchscreens and 11 frames per second shooting rate, this is digital photography at its purest. Just a camera with nothing you’d go on to call a “gimmick”. But, more importantly, that “full-frame look”, too. It is fully capable of delivering high-quality images and is very dependable. The price? You can get a well-maintained one for 500-600 USD. Having said all this, there are also several weaknesses that you may need to be aware of before deciding if this is the camera for you. First of all, it has never been known for its brilliant AF system, mainly because, well… it wasn’t brilliant. The 5D also does not hold a candle to a Nikon D4s when it comes to low-light environments. Add the 3 frames per second shooting rate and this is clearly not a camera for sports photography. The back screen is also not really usable for serious image sorting, but then that holds true with any camera (at least, it should not be used for that purpose). And finally, there is a good chance that such a camera will have seen quite a bit of action, so finding one in pristine condition may take a little bit of time. Other than that, and I say this truthfully, if I was starting a wedding photography business today with a low budget and was looking at Canon as my tool of choice, the original Canon EOS 5D would be at the top of my list. Coupled to a 35mm or 50mm lens, it’s also what I’d purchase if I had no interest in working as a photographer, but wanted an affordable full-frame camera for personal work and family photography. If you just read my thoughts on the original 5D and decided it was what you need, don’t read any further. You will most likely change your mind as bigger numbers tend to do that to a lot of people. And when the highly anticipated 5D Mark II was released, that’s what people noticed first – big numbers. It was quite a step-up from its predecessor in many, although not all, key areas. First of all, the 21 megapixel sensor meant much higher resolution output, but the ISO performance did not seem to suffer. On the contrary, it beat not only the older model, but also the rivaling Sony cameras by a large margin. The screen at the back of the camera would not look out of place on a modern DSLR, it’s really good and sharp. The build quality was improved with better weather sealing, faster frame rate of 3.9 per second was available due to a much newer processor and, of course, there was the high-quality video option which still makes the 5D Mark II the camera of choice for a lot of videographers. It’s a good camera and, on paper and in use, a big improvement over the original five. But then it should be as it’s really not that old. I’ve worked with it on numerous occasions and would definitely recommend it to someone wanting to start a photography business, although it may be a bit of an overkill for casual family photography. With all the good things, though, there are also a few weaknesses worth mentioning. First of all, the AF system isn’t actually noticeably better than that of the original 5D. But then, like the original 5D, this is not meant to be a camera for sports photography. The toughness, while definitely improved (it’s also more comfortable to hold than the older model), is still lacking when compared to, say, my Nikon D700. Finally, the price of this camera makes it one of the most expensive options on this list, it’s on the verge of not being all that affordable. But if you can manage that, the Canon 5D Mark II is a very good camera. Just take a long, close look at the original 5D before you make your choice and decide if the additional functionality of the newer model is actually something you need. A DSLR that hardly needs an introduction, the D700 has achieved almost a legendary status and is considered by many photographers, myself included, to be the best digital SLR Nikon has ever made. The reason for this is not immediately apparent – it did not photograph a million frames per second, nor did it have an unsurpassed sensor in terms of resolution. The reason why it was so successful and liked among many is because of the way all the components came together. Everything was just right. You could not blame the sensor – it performed admirably in any light and had good resolution. You could not blame the size or weight, especially not when compared to the one camera above in terms of price, the D3. It had what was considered to be the best AF system of the time, Nikon’s wonderful 51-point. Add a good viewfinder, great screen at the back, tons of external controls and impressive build quality, and everything is suddenly clear. The D700, at least in my hand, feels that much more rugged that the 5D or 5D Mark II, even if the actual comfort is subjective (I find larger Canon DSLRs to be very comfortable). The rather curious truth is that it is still considered to be just right, even after 6 years of production. When compared to cameras of its own age, there is absolutely no fault that can be found, at least to my eyes. When compared to modern full-frame DSLRs, situation changes, of course, but the importance of these lacking features and technical specification differences is still very subjective. The first thing you will likely notice is the sensor, which only has 12 megapixels. That’s fine for me, but might not be so fine for someone else when the current market is filled with 20+ megapixel cameras, even among APS-C sensor models. Also, there is no video functionality whatsoever, a standard feature on most current cameras. But really, that’s about it. Much like the original Canon 5D, this camera is digital photography at its purest. More importantly, within the context of this article, the Nikon D700 is probably among the best cameras you could buy be it for occasional family photography, personal work or, say, for starting a wedding or portrait photography business. Of all the high-end cameras that I’ve had the chance to use, I spent the least amount of time with the Sony A850. That said, during my brief time with this tool, I was left very impressed. Not sure if modern Sony full-frame cameras (the SLT-A99) would leave me with as good an impression, but when I first picked up the A850 I remember thinking it was the toughest camera I’ve ever held in my hand. It felt as if, literally, if you dropped it on a tiled floor, the floor would get the worst of it. It was also very purposeful-feeling, like a tool to be used and not a fancy accessory. The best thing is that such a subjective feeling was backed up by the camera’s solid specifications. 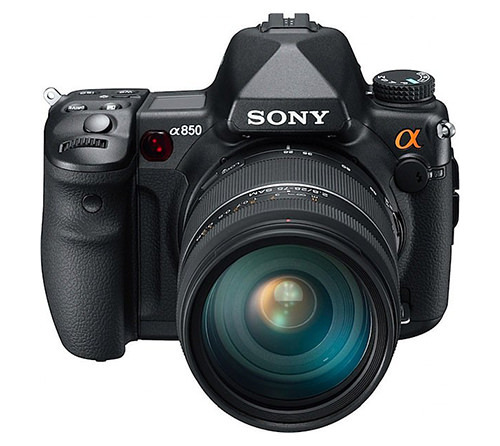 Mind you, much like the original Canon 5D and Nikon D700, the Sony A850 focused on photography only, so a lot of current “standard” features, such as WiFi connectivity and video, were not yet available. As a photographic tool, though, Sony A850 is very impressive. At the heart of the camera there is a 24 megapixel full-frame sensor – the highest resolution available at that time. The sensor supported a native ISO range of 200-3200, which could be further expanded to 100-6400. Another useful feature was the sensor-based image stabilization, great with non-moving subjects in low light. Finally, the A850 was capable of 3 frames per second and used a nine-point AF system with 10 additional “assisting” points, a great 3″ screen at the back, weather sealing and a very large viewfinder. You may have noticed I did not say much about the A900 and the reason is simple – it’s basically the same camera save for three differences. Firstly, it could do 5 frames per second instead of “just” 3 (remember, that’s a 24 megapixel camera). Secondly, it had an ever so slightly better OVF coverage (100%). Thirdly, it was much more expensive when introduced at $3000. Although… that’s a normal price for such a segment, isn’t it? Well, yes. Only, the A850 cost just $2000. So the price is Sony A850’s biggest party piece. However, not everything is great with either model. Sony has always been good at making sensors, but Nikon managed to improve them on their own models even more a few years ago. Although ISO range went all the way up to 3200, those sensitivities weren’t all that usable. I tried. The grain is quite prominent and oh-so-ugly. Also, the AF system is nowhere near Nikon D700 and perhaps closer to that of the 5D Mark II. Unfortunately, I did not spend enough time with the camera to know for sure, but the general opinion that I’ve heard from other photographers is pretty much the same. Finally, being one of the older Sony models, both A850 and A900 use Sony’s proprietary flash hot shoe, different from the standard one used by all the other manufacturers. Having said all that, if you don’t photograph moving subjects much and prefer landscapes or portraits, or plan to print big, this is one of the best “old” full-frame cameras. Just make sure you always have the time to double-check AF accuracy, don’t shoot sports and rarely use high ISO’s. We could not possibly hope to have enough time to review older camera models, especially with so many new ones coming out. But the truth is, a lot of “old” models are still very much worth the attention, especially considering how much less expensive they are than their newer siblings. In this article, I shared my personal experience about older full-frame cameras that I’ve used at least a little and found to be great. If you were looking at older models or even thinking if it’s worth it, I hope this article was of some use to you. In the end, remember this – the best camera is not just the one you have with you, but also that one that feels right in your hand, so make sure to try them out if at all possible before purchase. Also, I would strongly recommend reading our article on buying used DSLR cameras before you make your purchase so as to avoid any unpleasant surprises. Just as important is to remember a camera is only part of a system, so before you make up your mind be sure you are satisfied with the lens selection. As I work on a similar article on older APS-C cameras, you are very much welcome to share your own personal experience with these and other models that you might have in the comments section below! Interesting survey and you hit everything I’d think of in a pinch as a replacement body. Though, given Nikon’s current replacement policy on the D600 shutter, I’m curious why you didn’t consider that. The same holds true for the entire D3 family — or is the buy-in for them on the used market still too high to be considered value? With the introduction of the D810, there are hundreds of D800s for sale on eBay. Many serious amateurs (including myself) have sold their D800 in order to help pay for the D810. I saw one starting as low as $500 in the process of being auctioned. It seems reasonable that with a little diligence, a D800 could be won at auction for around $1,600, with low shutter actuations. Of course, this low price will put downward pressure on used D600s and ultimately all other full frame DSLRs. absolutely right Mike, couldn’t agree more! Why go back to 12mp D700 when D610 and D800 can be had at very keen prices, with dilligence! D800 cannot even come close to D700 for speed performance, absolutely critical for many evwnts and sports especially. Also D700 focus seems to work better oddly than D800. D700 focuses perfectly with Nikon 1.4 lenses, D800 often struggles. D700 files are just right for sheet of paper sized prints and easily look nice even a bit bigger for presenting, yet are very digitally manageable with no slow down in work process due to light file size. Likewise, D700 cannot do what D800 does. D800 has about 50% more effective “look” to it (not really 3 times, difference in 12 vs 36mp is not as big as anyone thinks), but also has video (although not at 60p true hd). Although birders and poster size prints love it. Well some people decided they cant wait for a D710 any longer, so go for D810 instead. Honestly, many people skipped D800 not because of price, but because of performance issues and extremely slow work flow due to file size (what takes seconds with D700 takes minutes with D800 files). Also even the serious amateurs are NOT printing large prints and posters, so they dont care about 36mp. Main consideration is depth of the raw files for adjustments and some finer sharpness (which actually is destroyed often by D800 shutter slap and handheld shake). I dont hate D800, i am just trying to explain why many love D700 still. Even D810 is like 4.5 to 5 fps according what most people are measuring somehow, but D700 was 7 fps easily, awesome for sports. Hi Global, I get all that, what works for you, works for you! All the better for it too! I was just a little concerned that a newbie photographer was being pushed towards a D700 when there are so many other choices. Perhaps we need to define the photographic genre. Not all of us shoot action, and need super fast autofocus, high frame rates and 25 shot buffers. I do stand by what I said though, starting with a higher pixel count image – IF I messed up, or later discovered a gem inside the original image – it is lovely to be able to extract that out of the original to make a whole new shot, and still have more than enough mp left to enlarge to A4 / A3. For a newbie photographer I would never recommend the D800. The D800 files are fantastic compared to the D700 files, but it is a much more demanding camera regarding handheld shooting. I do like my D700 when I need speed but the D800 has much greater dynamic rang so I don’t get blown out whites as often. The problem with used D800 could be if it has problems with autofocus, you must contemplate this just in case it was not underwent to Nikon service, and with the D600 you would have same problem. With D600 at least it is covered by Nikon, but anyway you must send it to them and wait the time it takes to change shutter, but it is at last free, I wonde if it is the same for D800. Romanas words “when done with care” are most important. As good as they are D600 and D800 must receive special consideration just in case you get a “faulty” one. Main problem was not the camera, but Nikon lack of info on Serial numbers affected and a lack of identification for the “really” repaired ones. As I remember quite a lot of people sent cameras several times in order to get them fixed, others sent just one and got it fixed at once and the lucky ones received non faulty bodies. I actually just bought 2 extra D700’s for our wedding studio bringing the number to 4 – as a matter of fact, we use the newer d600’s and d800’s as second bodies because they aren’t as well balanced as the D700. I will buy a 5th one this week so we have 1/full time photographer in our studio. 12MP is actually plenty enough to get great shots that people can do large prints with all while balancing our need for super new computers and more terabytes of storage. It just makes sense. Thanks Romanas for this article. Could you let me know which is a trusted and economical place to buy the above used DSLRs. I have the nikon D700 on my radar hence whats the good price range for well maintained d700. Finally, what factors does one need to take in when buying a used high end DSLR ..like low shutter counts ? Reliable places to buy second hand online include KEH, B&H and Adorama. They are all in the US so whether they still make sense if you live outside there will depend on freight cost and taxation. I second KEH.com, they specialize in used equipment and I have never gone wrong with them. I bought two cameras used recently, through KEH – a D610, and a D700. I don’t think I’ll ever buy new again, and if the iterative upgrade trend continues from camera manufacturers, I probably won’t buy “as” new as the D610 again, either. The D700 is, as you noted, “just right” for most applications. I prefer shooting with my D610, but I don’t feel like I’d want for much if I were suddenly without it. This is a good list, a good article, and I think more can (and should, and hopefully will!) be said about buying used. D3s are fairly cheap now too, though they may be a bit too complex for some people. Good second hand equipment used to be quite cheap in the film era, especially before the advent of autofocus. I once bought a Nikkorex body for $40 which was very basic but worked fine. Current cameras and lenses are capable of giving excellent results for most people so cheap second hand options will be increasingly available for the digital era. Purchasing second hand lenses will require more care than bodies I would think though. For the most part if a body works it should be OK whereas lenses may require more careful checking and testing for things like misalignment, fungus and rear element damage. The place to start is online lens reviews. Then, checking out a lens physically is easy enough. Make sure everything moves as it is supposed to and all the functions work. Look through it and see if it’s clean. Some dust and light scratches on the front element probably won’t affect image quality. Fungus is a no-no, it will only get worse and can’t be fixed. Damage on the rear element is more serious than the front. Then take some shots, look at the images and see if they look OK. Ideally, shoot a test chart to test for good and even sharpness (you should first have established that your camera body is aligned). Then, for an autofocus lens and the appropriate camera, calibrate the lens to ensure it falls within an adjustable range. An implication of that is that you should be able to return the lens if you find anything wrong. If you’re looking to save money and mainly shoot static subjects, old manual primes may be worth considering (Nikon, not third party). Some are better than others but for example, any Nikon 135mm lens in good condition is likely to be excellent. One other suggestion I would make (at least for Nikon bodies), is to be sure you buy a USA model (if you live in the US). Remember, Nikon US will not service foreign bodies (AKA know as Grey Market). I don’t know the policy for Canon. This was really interesting to read – I am getting ready to upgrade from my well worn D5100 to a full frame camera – I assumed I’d go with the D610 but my local camera store has a D700 in excellent condition for about $500 less – I keep thinking about it, and thinking that as my next step in this journey, I would probably be really, really happy with the D700 and it would perfect to continue learning on. This article was perfect timing for me! Romanus, I am sorry to have to totally disagree with the D700 rating – we move on, we work with what we have, we do better than we did before, if we can! 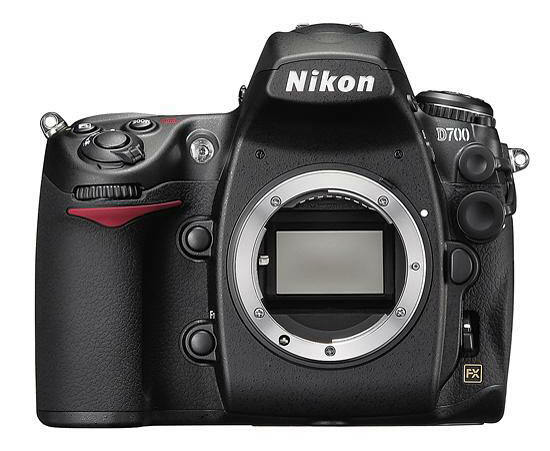 In the UK at this moment, D700 bodies can be had for around £790 ($1150) – while D610 bodies command £900 ($1350). In your intro, you dismissed the introduction of the D610 as it had no ‘upgrade’ to the D600 – well, let me tell you! The D600 was blessed with a shutter that spluttered oil all over the sensor, Nikon denied there was a problem, refused to sort out the affected (most of them) cameras, and then sneaked the D610 in, quick, as a replacement (solution) camera (to the problem that never existed!). So why would you even consider a 12 mp camera (D700) over the 24 mp camera (D610) when the price difference (checked this evening) is negligible. I don’t mean to be rude, but this is misleading – pro photographers dumping old camera bodies onto the market must be listing them on ebay even as I type! As far as Canon goes, I don’t do Canon – so you may, or may not, be right – but there is also the technological catch up problem to consider, on all makes and models. The essential software, hardware, and memory card technology so needed for the new breed of camera is constantly being refined, and then exploited, to deliver ever better results. I wouldn’t accept a 12 mp camera as a gift these days – because, as a mostly landscape photographer, the higher res models deliver images which can be cropped quite severely to produce an image (out of the original shot) which still offers a post cropping res. of 12 or more mp, of the same standard as an older model at full frame would offer. I come from an age where a camera was cherished, and became an extension of your soul – every button, every menu, was ingrained in my head – but those days have gone, models are replaced every two years (D810 as an example) and we are now tending to hang onto our lenses, and selling the bodies. It is a fact, and a new, aspiring photographer, at the very least, should be starting out with a current model, with all the features it offers – from there, he or she can decide if, and when, to update to newer models, but to go back four or five years to save – in my example – 20% of the cost of the newer model – well…. words fail me. Sorry Romanas, but I am speaking from my head, my heart, and my bank account! It’s true, you always need to check prices of relevant new models when buying second hand. Sometimes you even find people trying to sell second hand cameras at more than the new price because they don’t realise how much the privce has fallen since they bought it. But if you’re a landscape photographer, why do you need to crop, except to change aspect ratio? Surely you’d want to get that right in the camera. And how large do you need to print? Most people don’t print more than A3+ and actually 12MP is fine for that, even for landscape. I think you’ve got the model changing the wrong way around. My first DSLR was a D3 because I didn’t want to buy something that would be obsolete in two years time. Nowadays, for any likely output criterion, any current DSLR should be good for years. There may be new models but whether it is worth upgrading from a D800 to a D810 is a moot point. Hi Murray, you are correct on many points, but of course, there are always counter debates on such things. You are absolutely right that some used sellers are asking absurd prices, and sometimes I wonder if they really want to sell, or are subconsiously pitching a price that won’t work, simply to tell wife / partner ‘well, I tried, but it didnt go’, as an excuse to keep the camera.. some, not all of course. I’ve had situations where comments have been made… like: ‘why did you buy that flashgun, you never use it’ or ‘you havent used that camera in a month’ etc. On the landscape matter, yes, it would be great if we could all get the perfect image, first time, filling the frame, using every available pixel the camera has to offer – and we do – in a perfect world. That said, weeks, even months later, when in DXO Optics Pro, ACR, Photoshop, or HDR (and usually a combination of two or more) you see a ‘picture, within a picture’ which is more interesting and satisfying than the original complete image. That is the time when having the higher resolution original image pays off. The ability to crop out of the original, and still leave you with a higher resolution than if you had taken the original on a 12mp camera, cannot be easily dismissed, nor should it. We are not all Ansell Adams, though many of us aspire to be. It’s nice that you can use the more recent models on the odd occassion where you got it wrong, and missed the best shot by including too much in the image. The print size you mention, again, I fully agree. Printing an A3 from a 24mp gives you a great image. Same goes for A3 from 12mp, no argument. The two things you gain from a 24mp is the ability to print larger, if you wish it, and retain that image quality, beyond A3, and secondly, the ability to crop out of the original somewhat, using around 50% of the image, and still have the image quality in the A3 print that you would have got with a 12mp camera (as mentioned above). As to the camera body-changing frenzy we have witnessed in the past four years, I agree, things have stabilised now. Anyone with a D7100 / 600 that works properly / 610 / 800 / 800e / 810/ d4 / d4s should not need to consider any upgrade, unless it is feature driven – ie, the upgrade body has something specific that you need, and don’t have with your current body, or bodies. I was simply saying that, to urge people to buy older models, to me seems false economy, as we are going to see newer models emerge in due course, pushing them even further behind, not only in pure m pix terms, but also in features. Photography is not a cheap hobby, but if you are doing it professionally, then you really should stick to the latest (tried and tested) models, with the caution of not buying immediately, leave it a few months, let others do the beta testing on the new model first!!! Hope that makes my views clearer. Ross, I use a D700. Does that mean I am not a professional or making a huge mistake by not buying the latest and greatest? :) Sorry, I strongly disagree with that. The fact that newer cameras have more features does absolutely nothing to my photography whatsoever. ISO and megapixel count I can understand, to an extent. But those are also ultimately second in line after my own capability as a photographer, after my choice of light, subject and composition. I own both the d600 & d700. The d600 has no oil at all on the sensor. I love both cameras. The edge I explore is low-lift photography. Both are extremely strong cameras and so ay and all differences for a long time to come will be in lenses. If my needs were very hard-core professional maybe I wish for the stays of a D4 but they are $6,000 us. I’d probably do better buying profession lenses now and for a long time. I must be old-school and I do feel some emotional side to the ownership of a camera body. Selling gear and not feeling any tie to it is a part of this thread so there is my comment. I am a musician and there is a very strong corollary there. I do use older “tools” and so I think that so much of the creative process is within. Some would not respect that feeling on my part as much as selling gear to upgrade. The camera must become invisible within my thinking. It can take two years to achieve that. I think past the camera, something like that. Romanas, I didn’t mean to sound contravertial in my earlier comments, but if I were advising a new, beginner photographer, to go out and purchase a camera, I wouldn’t steer him or her anywhere near a D700 because, and simply because, it is old technology. It may serve many users well, particularly those who shoot social and action, but I am a self professed landscaper, and in that discipline, the extra pixels of newer models are a blessing. I’ve made the point that others are ignoring, skipping over, or deliberately avoiding – which is, sometimes in landscape work, you compose the perfect shot, only to find in post production, sometimes months later, that there is a better shot within the original, a picture within a picture, which can be cropped out and still give you the same final resolution as a 12mp camera would have done, but impossible to do from a 12mp original NEF. If the newbie photographer was not interested in landscape, perhaps my advice would be different. The fact is, new models have been appearing with frightening frequency, and of course, as ever, some are designed more for the action side of photography, while others are aimed more at the relaxed kinds, such as landscape. Camera craft, of course, remains important, but for a newbie, I would have thought those extra pixels on a 24mp camera or higher, would convert into more successful results simply because the photographer’s failures would be more often rescued by cropping, than would otherwise be possible. Sorry if anyone’s offended by previous comments, hope this squares things up. Cross. Reading this article and this thread I guess that Romanas intention instead of banning buying new really was pointing to an option (used). And as an option it is a valid one. I wonder how many of the newbie we are we talking about will became proficient amateurs (I am not saying professionals), and how many would be better served with a smaller sensor type. FF is a special format in digital age, you buy it because you really need it, because you came from film cameras and know how to max it out, because you exceed smaller format capabilities, or because you “feel yourself like a pro” using it or because you were ill-advised. And in addition for some people a few dollars difference makes a new one “unreackeable”, world is bigger than USA and Europe, and so prices spread. I don’t want to start an argument on this, I am only telling my personal point of view as good or bad as anyone else point of view. I still have reservations with some of your statements, Ross. I undertook quite a lot of large format film photography in the 1980s, a slow, deliberative and precise process. For the most part I propose that’s what landscape photography should still be. To have a high resolution sensor for wildlife photography makes sense because there will always be situations when you cannot get as close as you would like and cropping may be desirable. To advocate using a high resolution sensor so you can crop landscapes suggests to me that a better approach would be to use a lower resolution sensor, slow down, think more and compose better. Otherwise, the area you need to crop to on a critical image might well be outside the frame. It’s also not accurate to say that a 24MP sensor allows you to crop by 50% to 12MP because a 24MP sensor has only 50% more resolution than 12MP, not 100%. There are three categories of people who might benefit from older or second-hand cameras and lenses. One is poor people or young people for whom economy is important. Another is what Thom Hogan describes as the vast majority of amateur photographers who are either not able to take full advantage of high resolution sensors or who do not have the output requirements for it to make any difference. The third is many commercial photographers who have to justify equipment purchases on what they can earn from photography and for whom models of the previous generation or even earlier are perfectly adequate. I also maintain that we’ve got to the point where newer camera models will make very little difference in practical terms for improved photographic capabilities. Hi Murray, I get all that, and won’t argue with you. I do know that a lot of people spending the sort of cash a used D700 commands would be happier with a manufacturers warranty, which, if the buyer was short of cash, could be important. A fault on a warranted camera is better than having to pay goodness knows how much on a used camera which was bought only a month ago. I think that argument goes for a lot of amateur photographers too, many of them are keen photographers, but as this is not what they make a living at, they invest in the hobby side. It being a luxury instead of a neccessity, I guess many of them would be uncomfortable going for a used, unwarranted camera. I stress ‘many of them’ as there are plenty of hobby photographers who do buy used – ebay would have gone bankrupt by now if there were not! Commercial photographers, well, thats a different story – the stuff they buy is tax deductable, and they need the right camera for a specific kind of task – I guess many commercial photographers keep a number of different cameras – some for particular jobs, and some as backups to the main cameras. As to where newer camera models will take us, well, the crystal ball is out on that one, we’ll all have to wait and see. I know Hasselblad and Bronica etc are twitching nervously for the next Nikon/Canon press release a la full frame developments. It’s all very interesting though, don’t you think? I guess the choice between the D600 (or D610) and the D700 will depend a lot on what you do most of. Speaking as an amateur photographer specializing in birds and particularly birds in flight and currently looking at upgrading from a D7000, the D610 does not excite me. The reason is that the characteristics I most seriously want to upgrade are either much the same or worse on the D610 (being AF speed, frame rate and to a much lesser extent the buffer. What a an arrogant attitude and response. And the D700 is worth it – period. You seem to have an issue with anyone else having an opinion different to yours. Real landscape photogs don’t crop – just saying…. And if you were speaking from your wallet you’d recognise, appreciate and value – VALUE. I’ve got over 190,000 clicks on my D700–any idea how much Nikon charges to replace the shutter? Debating whether the shutter is worth replacing, but I just like the D700 so much. Mine also has rubber but coming free, but the camera (with vertical grip) feels so good in my hand and keeps performing. Surprising at least to me, I wish it had video. I have a D4 and don’t use video a ton, but there are times when I appreciate having it. Thanks for that information. Now I’ve got to decide if anything else is likely to go wrong with it for say, another 100K clicks if I replace the shutter and get Nikon to reattach the rubber. Anybody got an opinion on that one? Or, should I sell it for parts? Near 200K clicks !!!!! As a mechanical engineer I know that everything from mechanical to electronic is normally designed for a given life (obsolescence). If the shutter is designed for a given number of clicks and that you have passed this design number , other parts such as the mirror mechanism, the shutter button and all the camera buttons with their contacts and seals and the electronic have a good chance to be also at their end of life. Everytime we turn-on the camera it receives for a short moment a surge of current that over time will bring electronic problems. I would probably spend an extra 500$ if I was already owning the camera and I was short of cash or for sentimental reasons , after it failed. Thanks, Luc, that’s the perspective I needed. My D700 has had a long life. Think I’ll just retire it and sell off some parts. May replace it with the D810 or the (hopefully) upcoming replacement for the D300s. Dan, why not wait after you buy the 810 if it satisfy all of your needs , if after a few weeks its not you can keep your old faithfull D700 for thoses shooting that your new camera is not as well suited for. In this case it will probably give you many more years of service, and keep you away from wanting to upgrade again when a faster D8XX series with better burst rate and buffer or better low-light is brought on the market by Nikon. Your original post hit the nail on the head. Other mechanical and electrical stuff is wearing out besides the shutter. I got plenty of use out of it, and can make a few hundred selling the pieces. I was in the same situation last year with my car. Had 199,000 miles on it. Put $3000 into it, but that wound up not extending the life–it just wanted more money for more repairs. Had to get the new car anyway. I think I’m in the same situation here. My D4 pretty much fulfills all my needs in a camera (mostly bird photography). I’m not hungering for a new camera, but I can see myself burning up the D4 unless I get a new backup (I’ve got over 200K clicks on it). The D810 shooting in DX mode (16MP) with a vertical grip (7-8 fps) seems like a good option. 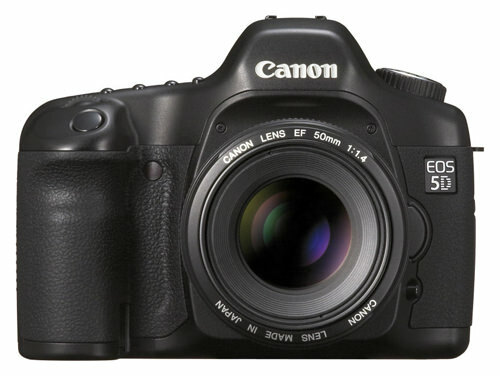 successor to the D300s would also be a good option. I’ve got a D7000 that I’ve never warmed to. Another month should tell us what Nikon is up to in the way of a new model. Sorry Dan, I have to take issue with your premise, I can tell you there are plenty of old Nikon FM bodies out there whose mechanical parts function perfectly. My point is, for a modest sum of a shutter replacement, you will still have a great camera by any measure! On Princess Cruise Lines the Photographers use D300s Nikons for all the Portrait and candid images of passengers. When a shutter fails they have it replaced by Nikon and continue using the camera. As told to me by several of their photographers on an Alaska Cruise last September. That’s good input, too. Another thing that’s going on, however, is the D700 seems to have an intermittent problem refocusing on birds in flight. This appears to be slowly developing. I’m most often shooting with a 300/f4. I suspect the motor in the camera, because when I put the 300 on my D4 I don’t have the refocusing issue. It’s possible I’m being slipshod and not keeping the focus point on the bird long enough, but it occurs even when I’m especially careful in tracking the bird. It must be an old AF or D lens to use the in body motor to focus? If it is an AF-S lens I’d suspect to motor in the lens itself, or perhaps you have VR switched on on the lens and it is causing issues as you pan to follow the BIF? Actually, it’s the current 300/f4 AF-S, which is an old design (no VR) that needs to be updated. If I put it on my D3200, which has no motor in the body, it is still AF and it works OK. Which is why I suspect the motor in the body of the D700. It has focused a lot of heavy lenses in its time, though I have to admit I don’t know what the interaction is when you have motors in both body and lens (meaning, does the lens motor do the work, or do they share the work?). Anyway, it seems to be one more reason to suspect that various parts in the D700 are failing. Dan, I read your last reply- if your 300f4 is the AF-S, when you mount it on theD700 the motor in the lens should be giving you your focus, unless you have a dirty electrical contact in your bayonet mount. Try cleaning the electrical contacts with a bit of Denatured Alcohol(any hardware sells it), isopropyl rubbing alcohol has too much water content (only 17% alcohol). I think my reply didn’t go through earlier. It’s the current AF-S 300/f4, which is in need of an update. No VR. Has a motor–I use it on my D3200 (no motor) and it autofocuses with no problems. I’m not sure how motor use is apportioned when both units have motors. All I know is, my D700 has done a lot of focusing with heavy lenses (300, 600, 105 macro, 70-200/2.8, etc). I think it’s tired. Taking portrait and candid images with a D300s on a ship and using this professionnal camera in any type of situation such as in the rain, getting drop a few times during its normal life and abused by low and high temperatures (leaving in the car in all weathers) at high burst rate in dynamic mode is quite a different story. Its like driving a car on the best highways vs in the country back roads and in city driving. I would definitely think one should be in better shape after 150K miles. I can understand that they can justify to replace the shutter after its life and had great success. The ship photographers follow passengers ashore too. They set up their portrait locations near the lounges- lots of chances for equipment to get kicked around by “happy” people on the ship. It’s about the same abuse a busy wedding photographer would encounter, except every day of the cruise. Romanas, you are so right about the D700! This is a landmark camera from Nikon and still captures such wonderful photographs. Somehow I was wise enough not to be seduced by video or massive megapixels. Thank you for recognising this . Paul. Love this post. A camera is more than a spec sheet, and each camera has a certain look. I still think some of the best colors come from the lowly Nikon D90/D2/D5000 sensor. At the right settings that thing could sing. I am currently using a Nikon D800, unless they way files are processed changes significantly I think it should last me a long time. Though I was not satisfied with the images from it at first, switching to Capture one made the files from it ‘pop’ the way I prefer. My next camera purchase will probably be a used D3 with a buffer upgrade for sports usage. Exactly right, the beauty about older cameras is that they were designed/built during an era when the emphasis was still on color quality and accuracy (versus high resolution and high ISO). Virtually every current camera today is endowed with too many pixels to really be of practical use along with a weak CFA to allow for slightly better high ISO performance… all at the expense of color quality. This is the best reason to get a low mileage D700, D3s, or even better yet a CCD based D200. These cameras make ideal portrait cameras that yield exceptionally rich, accurate color without being oversaturated. I’ll take any of their images over the dingy, yellowed images produced by the D8xxx if I don’t need the resolution for enormous prints. I use a D3 and 5DMk3 for weddings and would have to say that the D3 images despite their smaller Mpix stand up exceptionally well in all my albums. The autofocus is also superior to the 5DMk3. So older cameras do hold up well. The D700 is awesomely good too. That said, if shooting weddings please use 2 card cameras and simultaneously back up your images to both cards. I know “professionals” who have gone out of business due to card readers corrupting cards, or the card itself (known big brand) dying. It is rare, but I have been asked on three occasions to assist other photographers to retrieve wedding images from corrupted cards. It can put you out of business and if you are in the USA will get you sued. If you do not have a private limited company then your house and car could be at risk in any lawsuit. I would advise looking seriously at getting a second hand D3 and Tamrons 24-70 and 70-200 if I were trying to get into business from scratch, and have a D700 as a backup. D3 AF superior to the 5D MK3? Could you list some examples from your experience? Low light performance: D3 FAST. 5Dmk3 SLOW, hunt. A number of pros have mentioned this in comparisons. Ryan Brenizer also mentioned this. BTW I am an NPS member and shot weddings close to 30 years professionally…20 of them with Canons :-) I shoot them side by side on various paying commercial and wedding jobs every week so we are talking real world experience. The 5D has some nice and nifty AF modes that are useful and yes, borrowed from the 1D series, but it is not as quick or as sure as a pro body from either manufacturer. I have a D3S (which I would assume has similar AF capability to the D3) and have no Canon experience to compare it with. Thank you for the article on used cameras. My question is why is Nikon D3x is damn so costly even today and even costlier than a brand new D810 which beats the D3x perhaps in all specifications? They’re coming down now, especially after introduction of D810, albeit slowly ;) But on the other hand the build quality and feel of D3 series is in my opinion above D810 (or D700). I’ve been using my D3s since 2010 and it went through deserts, jungles, hot and cold without hiccups and feels rock solid in my hands (fairly large). I’m eyeing a D3x myself to complement my D3s, no way I’m paying for current generation of cameras that don’t improve anything in the workflow, have alien communication devices for Wifi and don’t solve a basic need of making photography simpler. Happy to use NX2 and C1 for editing, Aperture as DAM, swap my RRS L-plate if needed and above all use same batteries for both cameras. I personally did use D3s for some time, so I am aware of the handling of D3 series. I was so amazed by the color reproduction of the D3s and its hard to explain the extra zing I found in D3s. Apart from build quality of the D3 series, is the D3x any better than D800 series in terms of IMAGE QUALITY in anyway or is it a close call?. Well, in my opinion based on forums and site research I’d say that they are very close to each other in terms of dynamic range. I consider (and would use) D3X only as a landscape camera mounted on a tripod with some grad Lee filters. I can deal with the weight of the camera (deal breaker for some) and I’m pretty sure DR and noise (at base ISO) would be very simmilar. What matters after the shot is also important – D3X can still be used with Nikon’s Capture NX2 and the RAW rendition in other programs I use (Aperture, Capture One) is also very very good, unlike the ‘guesswork’ of RAW rendering for D810 by non-Nikon apps. D810 breaks the existing workflow and introduces problems I don’t want to deal with right now. The only downside/risk of getting a D3X is a ‘digital rot’ – one must make sure the camera works properly, has no dead pixels etc. From my personal experience with the D700, I also have to say it feels very nice in the hand, has a rock solid build and lives up to the ‘pure photography’ label. I also find it to be very good looking camera, pretty badass. That being said, I do miss the cropping capability 20Mp+ sensors offer and will not miss the weight of the D700. After working at several events with a D700 + 24-70 combo, which nearly gave me carpal tunnel, switching back to a lighter D7100 + 17-50 combo felt like a feather-weight in comparison. Hi Mark, you get what I am saying completely. Some are misconstruing my doubts about steering a newbie into a D700 when there are much higher res cameras out there. I’m being accused of pushing the D800 while what I am actually saying that there are MANY cameras out there from Nikon, now, which surpass 12mp – and those extra pixels can really count when a slight re-composing in post processing is needed – it happens, get real! The D7100 is exactly the camera I would advise a newbie to get – or consider the D5300 or D7000 otherwise. Any of those should be far more than a newbie needs to struggle with. The D800 800e and 810 (yes, and the 600 and 610) are reallly for those who are more experienced and know what they want. (as indeed is the D4 or D3 and the x versions too). You do need to learn your camera craft before investing in something like a D800 (and indeed, knowing it is the model you need – if sports is your bag, the D4 should be your aim, the D3 on a budget, otherwise). Hope your D800, when you get it, brings you great joy. Those megapixels are there for a reason! I add my voice to that of the happy owners of a D700. The only thing I really miss is a better live view, video would be a bonus. I own a D700. Love it. Unfortunately at my age with 70-200 2.8 VR is hard to carry around. I see lots of bla-bla pro and cons from your readers I would like to mentioned the following thinking from a very well known photographer. You’re right, cleaning the contacts on the D700 is the one thing I haven’t done recently. I’ll do it and see if that improves things. Thanks for the reminder. Nice Post. I have a similar problem with my Tamarof Lens rubber coming off. I have tried a couple different glues. What type of glue worked for you? Is the D 700 compatible with older afi lenses Romanas? Can it be used with manual focus AIS lenses? Yes the D700 will auto focus with aF-S, AF-I, AF, AF-D and meters with AI-S lenses. Interesting post, still a lot of D700 love out there! I’m keeping mine forever but I’ve also decided to get into the 36 megapixel & video scene with the D810. I suspect that in time, the D810 will further the tradition of the FM, FM2, D700, as the ‘workhorse’ affordable pro body. As for some of the debate here regarding the D700 as a viable ‘used’ investment, I can say this;, none of my Nikkor glass ever needed ANY focus adjustment ever, I’ve managed to crop D700 files to about ⅓ of the frame and get perfectly acceptable prints ( my local Henrys Camera has a 30×40″ print from a D700 on their wall ), the built quality of the body will survive a war zone with ease and final it just feels & works exactly how you’d expect a camera to – any shortcoming are on you the photographer not the camera! Romasas, you really have triggered a tidal wave of D700 love. It is such a wonderful camera. which has a lowly 5 megapixel sensor but with it’s amazing Leica f2 lens produces truly beautiful images. old technology indeed ! There are many paths up our mountain. This article is very important for aspiring pro photographers. Professional photography is a poor business in general. It is highly competitive and doesn’t pay terribly well on average. Further, they don’t build much or any equity. Usually all you have to sell is your equipment, but there is no good will. Given these challenges, every dollar counts! To me, that means buying used and / or refurbished at every opportunity. I know this can be hard to do with lenses, but even here it is worth considering. I purchased my Nikon 200-400 used and saved $1500. When I purchase new I try to take advantage of things like “flash” sales that run during the Christmas season I picked up a new D7100 that way for $799, a $400 savings at the time. Finally, I try to buy bundles. I saved $400 on Olympus lenses through rebates this summer. I also believe it’s imperative to sell your used gear. You get top dollar on Ebay so you can use those funds for new gear , savings etc. This is a little off topic, but if you are a professional photographer, save your money toward retirement, not on endlessly upgrading equipment. You will need it! D700 and D600 have somewhat different advantages. D700 will be better for action, D600 for slower more careful work. $1000 for D700 is a good price. The transition from D90 to D700 will be quite dramatic. You will be very happy and impressed with it. In terms of the price dynamics I don’t foresee big changes in the price of used D700. The reason for this is that Nikon did not introduce a direct upgrade to D700. All upgrades split in different directions: D600, D800, Df. And there are many people for whom D700 was just right. it is actually 1000euros, not dollars. But I see where you going. I don’t need all the bells and whistles of the latest cameras – no video either. Surprisingly I find my Sony phone better suited for candid video… I look for bigger chip, better low light ability, better AF. Considering I am already equipped with 50mm 1.4 and 105 2.0 DC and I often shoot nightly events, concerts, indoor family gatherings, the D700 might just be the right tool for me. All of the above cameras are has-beens. Most people don’t need or want an old antiquated camera, thats the size of a cinder block. People are after smaller and more powerful cameras. The only manufacturer out of the three that his taking cameras to the next level is Sony with the A series of mirrorless cameras. The A7’s are the begging of the end for the big two. A7’s are smaller and far more compact and even more powerful than some old crusty 35mm DSLR. The only thing that the A7’s lack are a large lens selection, but Sony will keep on coming out with them, and this leaves Canon, Nikon and Pentax out in the dust. Canon, Nikon and Pentax have got to start releasing mirrorless APS-C and 35mm cameras very soon, otherwise they’ll be doing a “Pentax” when auto focus first came out. Canon, Nikon and Pentax are already 2 or 3 years behind on mirrorless. Just compare an A7 pro kit versus a Canon and Nikon pro kit, and its half the size and weight, and superior. Romanas, you’re livin in the past. The game has changed, mirrorless is the future and is superior. I personally have a Pentax K-3 on order, and its the leading “Advanced” crop camera, but its already antiquated. In a years time it’ll be severely antiquated by further mirrorless advancement. Its over for SLR’s, finished, kaput, arivaderci. Don’t encourage people to blow their money on a system and lenses which are about to become a thing of the past. Thanks for your input, Crunchy (it’s so weird not to be able to address a person by his name!). I have to respectfully disagree, however. I am not living in the past. I am merely a photographer, not a tech geek :) And I encourage our readers to be photographers, too. As a purely technical achievement, an electronic device – yes, the above cameras are obsolete. As a tool for photography, not one bit. I still use the D700. I let my work speak for itself. And if it is any way limited (of course it is), the limitation is not that of the tool, but of my skills. And I can pretty much imagine you saying that even if technical quality doesn’t matter, why not go for a “better” camera? And the main reason in this particular case is price. Some people have larger hands and like the feel of a solid DSLR. When I first came back to a DSLR after years of medium format use, I was surprised at how much larger the Camera and lenses were than my old FM2 or FA. But then neither offered auto focus, and as I’ve aged the need for that has been something I’ve reconciled myself to. Now I’m being lured by the Df or D750 for a lighter weight body, thinking of f4 VR lenses instead of all f2.8 optics, but still loving photography. I just can’t see myself going much smaller than a D750 body size, and wonder if an accessory grip will be offered for it too? Not everyone will leave Nikon and Canon optics for the smaller formats. I’d bet the reverse will happen- the smaller cameras will find a way to use the great DSLR lenses available on the market. It’ll be interesting to see what develops. I disagree I like to feel that my camera is built with quality and not like a plasticy toy as many of the new ones do! If they could put a D610 sensor in my D200 I would be in heaven! The only thing I dislike about the D200 is grainy photos over Iso 250.
ha ha! thus spoke the sony sales rep hoping to sell a camera or two! When a new technology comes out people too often rush to declare that the old technology is dead and irrelevant. I believe DSLRs will stay around for still a long time. The economics is a large part of the equation. As you mentioned Nikon and Canon accumulated some excellent lenses. And these are not just currently produced ones, but also older ones that can be quite affordable. What does mirrorless bring into equation other than smaller size? Not much so far. In economics everything has a price. Smaller size of mirrorless has some value, but size is not the only parameter that has value. Presence of great lenses is huge, even more so if they are affordable. It is important that these lenses auto-focus. I would take the D750…. Yes the D750 you can get used now.. I would take that then and over the Canon 6D. D750 has 51 AF points and the Canon only has 11 AF points. Plus 2 SD cards then one! I have owned Canon products in the past but the D750 is just a sweet camera. Glad to read this article as I am looking at purchasing used not new for now, budgets you know! I was hoping to read your opinion about the 7D which is the camera I was looking at acquiring…. I want it for event photography which I seem to be asked to do more and more, and for which I want to increase the quality of images that my rebel just can’t handle anymore. And… landscape which I just love to do for relaxation! When events are outside you will be fine. But as soon as they move indoors you will be in trouble. Go for a full frame. If you want to stay with Canon look into a used 6D. They are going for around 1K now. Also consider switching to nikon. There are better cheaper options there. The biggest disadvantage of the D300 and D700 is the first generation software. Has anyone ever “hacked” a later version of the processing software into one of these bodies successfully? It’s 2016 now, and I’m still doing great photos with my trustworthy 8 y.o. D700. Who needs new technology when the one that you have is already perfect for what you do? This article has a very narrow outlook. How can you say what is “worth it” on the second hand DSLR market when you do not even seem to know about much that is out there? Are Canon’s 1-series DSLRs not worth a mention? The 1-Ds, 1-Ds mark ii, 1-Ds mark iii and (with the appearance of the 1-Dx mark ii) the 1-Dx are all available second hand. And what about Nikon’s own professional line? Those bodies are intended for sports (among other things) and are more expensive then other bodies that produce similar image quality. You have to stay focused to get somewhere. Did you want to say something constructive about any of those bodies or just point out that the article is worthless? I’ve been considering upgrading to a FF DSLR for the past couple months and I’ve come to 2 cameras that I found myself liking a lot. One is the Canon 5D, and Sony a900. Which would you refer me to as a Hobbyist photographer looking to go into full frame? Suggestions for other cameras would be greatly appreciated if any others besides those two come to mind. 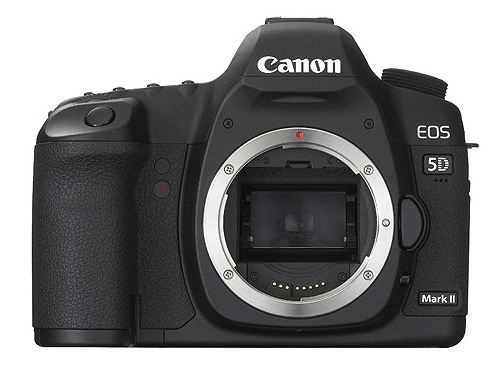 Canon 5D MKII should be similar in used price to the A900 if you hunt for one. There are a ton of used lenses and accessories for Canon and many users to help online. Easier to hire lenses and lots of places to send of for repair too. Other than that the Sony A7 is comparable in cost and gives excellent IQ if you aren’t into fast action, but full frame E-mount lenses are relatively few and silly prices. You don’t want to have to use adapters either. Canon Biased? Nope, I am Sony SLT shooter and *I* would buy a used A900, indeed I am waiting from the A99II so that the A900 used price drops! But as a NEW full frame dSLR user I would get a Canon/Nikon and buy a bunch of quality glass off the forums/eBay. Just browsed the first 275 pages of the Canon 6D forum Photos section. I then looked at the first 25 pages of D700 photos. Reading reviews here and on Amazon, I was tempted to buy a used D700, but no longer. The real-life results on Flickr showed me beyond any doubt that the 6D gives much better low-light quality and a 20mpx sensor, for not a lot more money. Studying the photos, I get the sense that it’s also fun to use like the D700 – people seem to use it with enthusiasm.